Author avatar shape: The shape of the author’s avatar. Within the Post Type Display Settings you will be able to select if the author box should appear at the bottom of posts, pages or both. You can also use the [socialpug_author_box] shortcode to display the author box anywhere within your template files. For each author you can add the usernames or links to their social profiles. To add social networks, navigate to the user’s profile in the WordPress admin and under the Social Pug Author Box section click on the Select Networks button. This will open a panel with all available social networks. Select the networks and click the Apply Changes button. This will add the fields for all the networks you’ve selected. 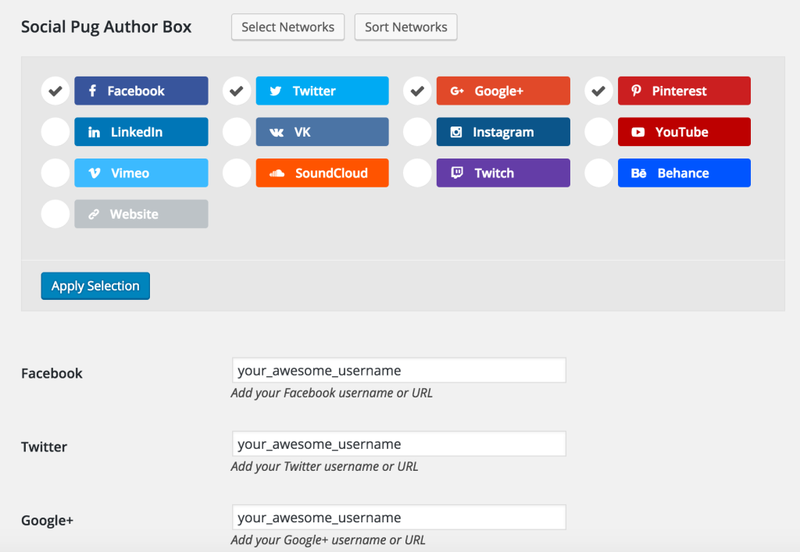 Simply fill them with the usernames or links to the social profiles and don’t forget to save the changes. You can sort these fields however you want. 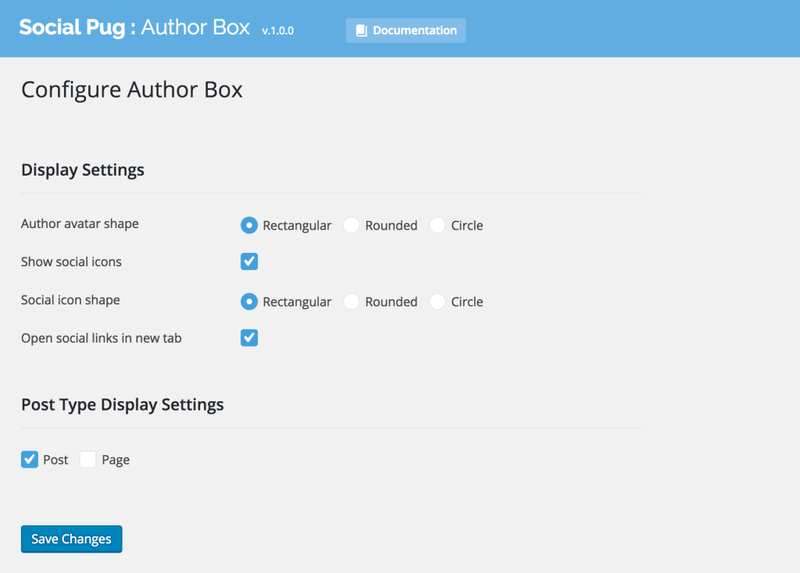 The order will reflect in the author box for each author. To sort the fields click the Sort Networks button. The sorting icon will appear before each field label. Drag and drop to reorder.